Manufacture of plastic basket mould from China,ZL mould is best one of it.We located in Taizhou which city is famous for injection mould. 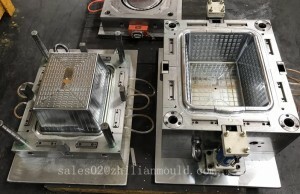 ZL mould are specialized in making different kinds of basket moulds like shopping basket mould, 60L laundry basket mould,plastic container basket mould,china basket mould,vegetable basket mould,and so on. Please see the attachment of basket mould series. During Manufacturing process, in order to have better cooling and high-speed injection molding, we tend to use beryllium copper on the top of the core in the plastic basket. About the cooling of Plastic basket mould: in generally we will use a recirculating, improve product quality and the mould efficiency. By analysising all aspects of structure and product structure for plastic basket mould including: a microcosm of the surface of the product, demoulding exhaust system design, the design of gating system, cooling system design. We will trial out many times for most important points and points which easily appear when making the mold structure. 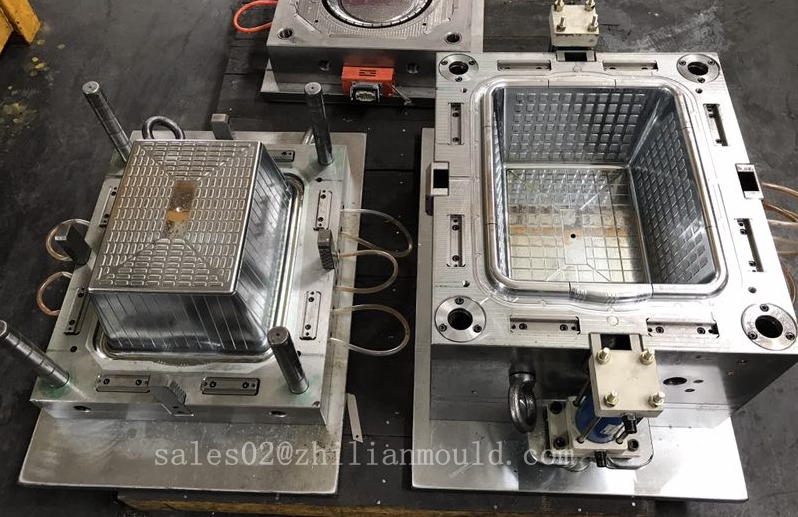 In generally, for plastic basket mould,we recommended to use 718, Shanghai Baosteel P20 materials, because these two kinds of steel, not only can improve the mold life, but also increase gloss of surface for parts from plastic basket mould injection and it without a flash. Supply you quotation and design in time;communicate technical point in time; weekly report for process will be send;mould test video and detail data will be send. Welcome to contact me for your new inquiry. How to choose the correct mold steel?